Work-Life Balance is one of my most requested speaking topics. I hate the concept of Work-life Balance. 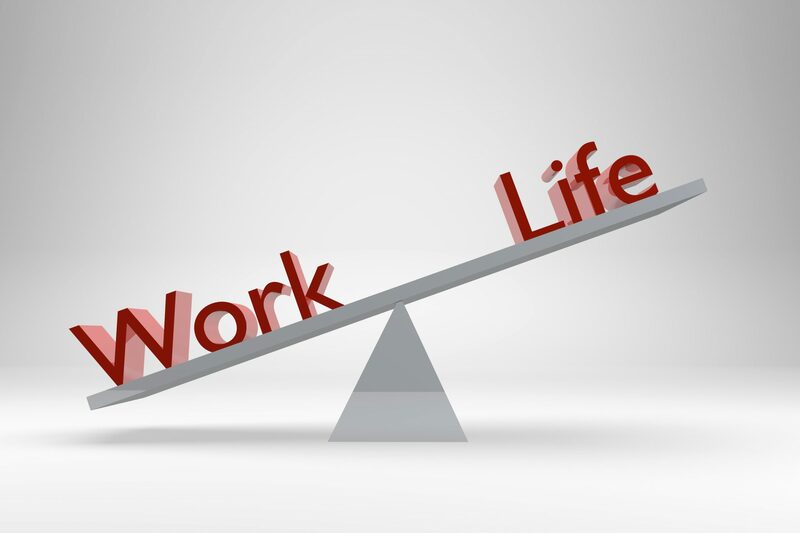 First, Work-life Balance assumes that work and life exist separately from each other and if we just could keep one from interfering with the other everything would be great. It also assumes one can offset the other, life is stress free and work is stressful. Does that make sense? In the research I’ve conducted on job stress, fewer than ten percent of the more than 1000 people participating rated issues relating to work impacting life, or life impacting work as one of the top factors causing stress. Even if we sort the data to look only at women with children, less than ten percent list caring for children (or any other work life issue) as a top stress factor. Which indicates we are addressing the wrong problem! If balancing our home lives and work lives isn’t the problem, what is? The results were very interesting. We don’t have a balance issue, it turns out have issues with overwhelm and uncertainty. Why do stress management programs fail? Because we are trying to solve the wrong problem! Rather than looking at stress as a binary, push and pull system between work and life, we need to be looking at what I call an ecosystem of stress. Everything we do interacts with everything else. Some things give us pleasure and add energy to the system. Other things draw energy out of the system. Just acknowledging the sheer number of things you pay attention to can reduce stress. Yes, it’s a lot. You have a good reason to feel overwhelmed. Sure, typical stress reduction techniques such as deep breathing can help in the moment, but how do you change the system? One of the most interesting results of the study was the number of people who reported the pace and pressure at work was just part of the job and not going to change. This was particularly true of lawyers and nurses. Their jobs are demanding and fasted paced by nature. This is a huge drain on time, energy, and resources. If that isn’t going to change, then the key to managing the stress ecosystem is to feed energy and resources back into the system and manage other drains. Protecting your sleep can make a huge difference in how you feel and feed energy back into your stress ecosystem. But, how do you make time for sleep? By looking at stress as a system, it is easier to pick out priorities, such as sleep, and find opportunities to eliminate or reduce drains on the system. Yes, this is easier said than done. Managing your stress system requires hard decisions about what you will allow to be in that system, and there lies the issue. Stress management programs fail because the answer isn’t easy. There isn’t a magic formula to balance out your world, but it is possible to step back, assess your system, and make choices about what you allow in that system. Being aware of what is draining your energy and resources, and actively feeding energy and resources back in is the key. I’ve been delighted to offer a new program The Trouble With Busy providing insights and tools to manage your stress ecosystem. My favorite part is using the research data and being able to provide specific data on stress environment of the organization with which I’m working. The next phase of research examining stress within organizations and interventions for improvement is in process now. I look forward to reporting on those results in the future. Until then, let’s let go of the idea of balance and start addressing the real problem!